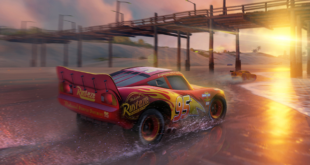 Owen Wilson, the voice of Lightning McQueen, visited the track and a new Cars 3 garage housing life size models of Lightning McQueen and Jackson Storm. 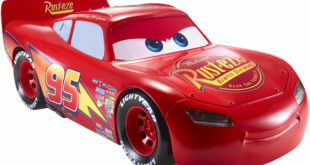 A range of diecast models will launch for fans to enjoy, as well as new play-sets inspired by the film. 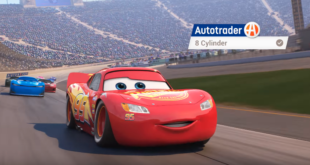 The site has launched a series of ads featuring characters from the upcoming animated family film. 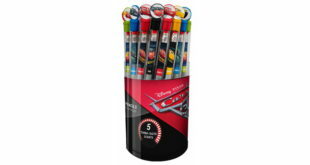 Avalance Software will be continuing the story of the film in a video game follow-up. 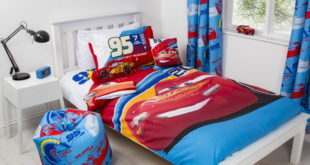 ‘Launching the Cars 3 license is very exciting as we have already had a huge interest from trade,’ says DKL’s David Allan. 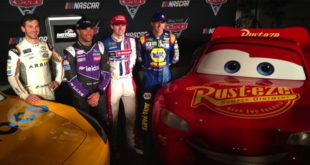 Daniel Suarez, Ryan Blaney, Darrell Wallace Jr. and Chase Elliott will join the cast alongside familiar voices Darrell Waltrip, Jeff Gordon and Richard Petty. 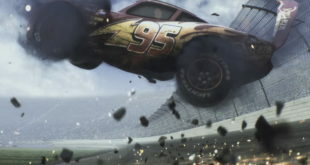 In the footage, red race car Lightning McQueen can be seen racing around a track, before skidding out of control and crashing. 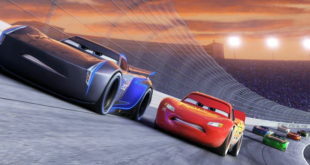 Visitors to this year's D23 in California have been treated to numerous announcements from the studio including teaser posters for Cars 3 and Incredibles 2.